Today, my book with Peter Enns comes out in paperback.  It’s called Genesis for Normal People. Click on the link and buy it, either for yourself or someone else. Well, as we have been anticipating the release, I have been thinking more about why we wrote it and where I feel called to play a role in the Church. And I am even more convinced now that we need bridge-builders in the Christian community. There are so many polarizations, conservative-liberal, Reformed-Arminian, Catholic-Protestant, Clergy-Laypeople. I see so many opportunities for bridge-building, or to use more theological language: RECONCILIATION. My passion in working with Pete to write GFNP was to create a bridge between the world of academic scholarship and the world of the average Christian. Somewhere along the way, a chasm has formed. Sometimes because of a well-meaning pastor who tries to “protect” his/her congregation from “liberal intellectuals,” sometimes because of the insecure over-inflated egos of scholars who think they are too brilliant to meddle with translating their brilliance to the commoners, and sometimes because of a practical failure of imagination and organizational leadership. To be honest, there are probably dozens of reasons why the average person in a congregation is clueless about the collective wisdom and intellect of really smart Christian scholars who want to be faithful to Christ & the Bible by understanding what we should expect the Bible to be and what we shouldn’t, like my friend Pete. But imagine a world where scientists never took the time to explain to people why they get the flu, why you shouldn’t shake your baby. Or imagine a world where well-meaning politicians told their citizens not to listen to the “liberal intellectuals” who now tell us that there are invisible microbes in our drinking water that can kill us or who tell us that smoking is bad for your health. Or imagine a world where we rarely get to effective solutions because people in leadership often lack imagination to break out of oppressively irrelevant bureaucracy . . . oh wait, you don’t have to imagine for that one. We cannot protect people from the truth as we see it today. But the reality is that much damage has already been done for many in the Christian faith. The gap has widened. Hopefully, through small projects like Genesis for Normal People, we can begin to close that gap, to unify the church in our little, perhaps insignificant way, that is, to be a voice for reconciliation.